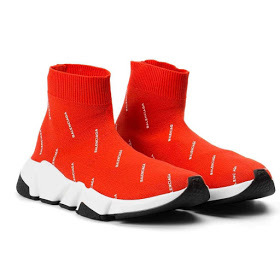 Balenciaga for Colette releases new sock sneakers. A well designed exclusive red speed trainer. 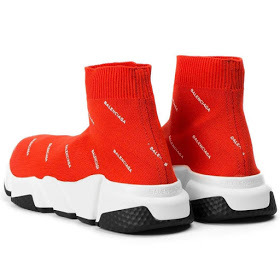 The upper part features the classic knit sock and structure with Balenciaga's logo embossed all over it. The white midsole and black outsole allows shock absorption and memory sole technology. The sneakers is available for approximately $663 USD.